Cesspit are normally constructed by brickwork in circular design and could be mistaken to look like well in appearance. In the early days 1900 – 1930’s cesspits were common specially in period properties not served by mains drainage. It would have been constructed by hand to create chamber normally no deeper than 2 meters by 1 meter wide but often cesspits are no deeper than 1.5 meters. They are constructed with brickwork in cylindrical design to create the cesspit. The brickwork is positioned 50 mm apart to allow gap for the untreated effluent to soakaway through the wall and the dirt base of the cesspit. Visual appearance of the cesspits would have thick concrete or natural stone slab positioned over the access point to act as inspection lid. Cesspits are very basic example of off mains drainage system with the tank and soakaway combined to make all in one design for disposal of wastewater. The logic was there at the early stages for off main drainage but the designed was floored with many problems occurring. The wastewater entering the cesspit naturally displaced enter the surrounding ground conditions leaving the solids to settle at the base of the cesspit. It would have instantly affected the integrated soakaway of the cesspit with solids causing impermeable layer to form on the soil floor. It would decrease the ability for the cesspit to displace the untreated effluent into the ground and often find drains backing up towards the property. Under no circumstances cesspits can be used as off mains drainage system as there is high risk of pollution. From 1936 the Public Health Act prohibit the use of cesspits and other methods off drainage system would have to be used such as cesspools or septic tanks. A cesspool is simply storage tank designed for holding waste water from the property. Traditional style of cesspools was made of brick construction with more modern cesspools fiberglass in design buried below ground level. They only have one inlet from the incoming drain run, vent pipe to allow trapped gases to escape, and sometimes high level alarm fitted to indicate when the cesspool is full. Cesspools are very expensive to run once full they need to be emptied. Emptying costs can be very expensive costing the homeowner thousands of pounds per year. Other methods of sewage treatment should be considered if possible to keep long term running costs low. The use of cesspool should only be installed where no alternative off mains drainage system can be used. What the difference between a cesspit or cesspool? Cesspit may sound like a cesspool but completely different in design. 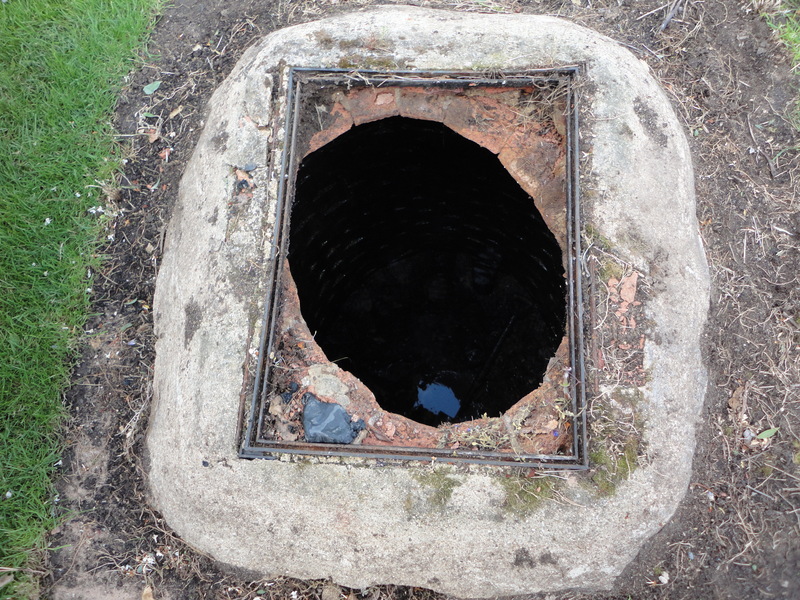 Cesspit is single chamber with gaps between brick work acting like a soakaway pit. Under no circumstances cesspits can be used as off mains drainage system as there is high risk of pollution. A cesspool is a watertight tank, installed underground , for the storage of sewage. No treatment involved. They should only be considered where no other option is feasible and acceptable for installation. Request a FREE quote or site survey using the form below. Please include what the job entails and attach any supporting images that may help us estimate the job. You can email info@infinityenviromental.co.uk and we'll get back to you soon.